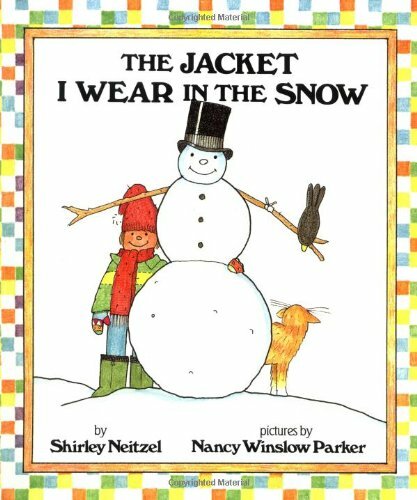 The Jacket I Wear in the Snow by Shirley Neitzel and illustrated by Nancy Winslow Parker is the perfect predictable text for Winter weather. This book is great for preschool and kindergarteners to help illustrate Winter clothing as the boy in the story puts on all the clothing required for playing in the snow. It's also great for teaching rhyme with repetitive language (bunchy and hot, wrinkled a lot). The Jacket I Wear in the Snow is also great for beginning readers with its rebus pictures for clothing items and a reading level of middle first grade. Kids will be able to relate as the boy piles on his Winter gear and takes it off when he comes back inside.